As we come towards the end of another guest week, storied tech enthusiast jonwestenberg touches on a very familiar topic for many. There’s a long established tradition that any kind of gaming is almost impossible when using what the kids (from the late 70’s) call an Apple Mackintosh Personal Computer. You’d be hard pressed to find any new release games that debut on Mac as well as for Windows PCs. The reasons for this are pretty varied; partly, it’s due to the wide spread dominance of Windows machines in the 90’s as the open platform was widely adopted by third party manufacturers, making the install base so much wider. Another reason is Apple’s walled garden that prevents users from upgrading or modifying their computers. That’s not to say that there isn’t a history of Mac games development. If you’re a Halo user who hasn’t played the Bungie classic Marathon series, you’re missing out on an integral part of Halo’s development history, which is deeply rooted in that early, groundbreaking sci-fi shooter. However, it’s been a long time since Mac was a platform that supported real gaming. As a gamer and a Mac user, I’ve been keeping an eye on Mac gaming over the past few years, and while it’s not as bleak as it once was, you’ll find that there are still enough obstacles to Mac gaming that it’s not entirely worth your while. Using the correct hardware is one of the most important parts of gaming today, and it can mean the difference between a tactical victory and a crushing loss if you’re playing competitively. The good news is, manufacturers of many modern gaming peripherals are supporting Mac far more widely than ever before. A great example of this is the Singapore based gaming hardware company Razer, whose Synapse device management software is native Mac compatible. 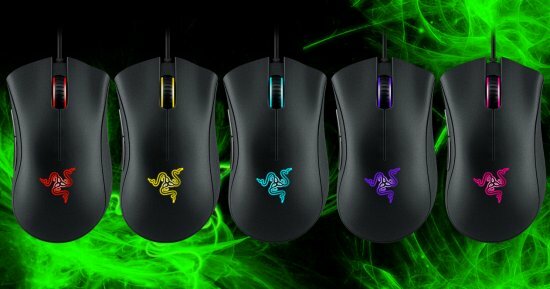 If you’re looking to buy a gaming mouse, I picked up a Razer Death Adder Chroma, which gives me complete plug and play functionality with full support for the Mouse’s additional features, including customisable lighting effects and multiple additional buttons. Things are a little harder if you’re looking for a Mac based gaming keyboard, particularly if a Mechanical keyboard is your holy grail. Additionally, if you’re after proprietary Mac game pads, that’s just not going to happen. There’s been some talk of extending the iOS MFI controller support to OS X, but as of 2015 it has yet to show up in any games. The most obvious way to purchase games is the default Mac app store – that supports a fair few big name and indie titles, including the Call of Duty and Borderlands series. But these are never competitively priced, let’s be real, and the Mac store itself suffers from similar issues to the iOS app stores, with app discovery being noticeably and disappointingly broken. Thankfully, there are a few more options than that. You’ll find the best platform, as with Windows, is certainly Steam. If you’re used to the Windows version of the store, you’ll be more than a little disappointed to discover that you’re missing a huge number of your favourite games, particularly in terms of more recent titles. Generally speaking, if you want to find a game on the Steam store for Mac, you’ll be waiting for a few years after the release date in order to see it live. This being the case, you’re always going to be behind in several titles if you’re following more mainstream franchises. I’ve bought quite a few games through the Mac Steam store, and they run fantastically on my Macbook Air 2014 – but there’s still so many games that I feel like I’m certainly missing out on. Another solid entry is Mac Game Store, which operates the way you’d expect it to. There’s a very similar selection to Steam, available through a natively installed MGS app that can be downloaded from their website. You can often find some highly competitive deals here that you won’t pick up elsewhere. If you’re looking for a title on Steam, it’s always checking MGS for price comparison. (An honourable mention – Good Old Games. There’s more than enough old school games out in their OS X section to keep a retro gamer happy. So what can you expect to be playing? There are a lot of options. Indie games are well represented on Macs, as are some of the biggest games of the day, including the Pro gaming favourite League of Legends. LOL on OS X is fully compatible for multiplayer games with its cousin on Windows, so if you want to get competitive, you’re in luck. The MOBA genre as a whole has a solid presence – new comer Strife is set to be a popular title, and its Mac edition is an excellent game with a lot to offer. If FPS is your poison, as I said you’re in for a rougher ride. You can find a lot of classics, including the Half Life series, Portal, Doom 3, Bioshock, the less recent COD games etc. But any new FPS is going to be a long wait, if you ever get it at all. I’d be remiss here if I didn’t mention Apple’s Bootcamp, which provides functionality for installing Windows into a partition on your Mac through which you can access fully featured Windows Steam games. I put this together with a 90gb partition, running Windows 10 Developer Preview, and while it ran smoothly, it’s not quite Mac gaming – It’s just side loading an alternative operating system. If you want to game casually on a Mac, or at least enjoy some of the benefits of PC gaming without obsessing over total functionality or extreme graphics, there’s plenty of fun out there for you. Casually competitive gamers are going to find a few options worth looking into, but overall, the Mac is not a machine which is currently built for real gaming. I love my Macs for designing, coding and general productivity, but I know I’ll be looking out for a new portable gaming option. Razer Blade Pro anyone?